One common attack upon the infallible, inspired and authoritative word of God is that, people will say, that it is full of contradictions. Of course, these alleged contradictions often turn out of be proof-texted and completely isolated from the context. In contrast, there are a number of popular atheist slogans which are obviously contradictory. Atheists will say one thing, and then, out of the other side of their mouth, contradict it! They keep a slew of slogans, not realizing that these slogans are incompatible with each other. I think there are at least 5 contradicting slogans atheists use. Now of course, not all atheists say all of these things and atheism does not claim to be inerrant. However it is interesting to see the fundamental logical mistakes that atheists are guilty of, of which they are just completely unaware. 1 – Atheists say both: (a) Religion is evil. (b) There are no moral values. 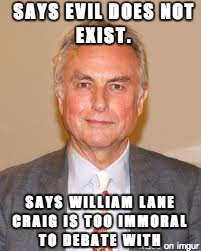 It is so interesting to see what atheists are willing to claim for the sake of their personal philosophy. When confronted with the fact that in an atheistic framework, there are no objective moral values, they often angrily retort, “so what?” But this is not the position of the atheist philosophers of old, who recognized that there was a firm foundation of unyielding despair on which the souls’ habitation must be safely built. Atheists, today, claim that there are no moral values or duties, for the sake of their personal philosophy, but they do not live that out. The same atheist will, out of the other side of their mouth, say that religion is one of the great evils of the world. Religion causes genital mutilation, oppression, suffering on a grand scale, and so forth. But I suppose in an atheistic framework, the same question that they asked can be shot back: so what? So what if religion causes suffering? On atheism, there is no such thing as objective moral value or duty. Atheists are unaware that they hold both of these two claims simultaneously: evil is just a construct of the human mind, and that religion is evil. 2 – Atheists say both: (a) Everybody is born an atheist. (b) I am skeptical of people who claim to be former atheists. Traditionally, philosophers have recognized that atheism is the view that God does not exist, theism is the view that God exists, and agnosticism is the the lack of belief in the existence of God. 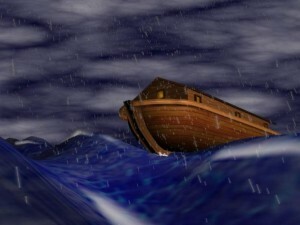 Both theism and atheism require some sort of justification, namely, we must say, “I believe in God, because…” or “I believe that there is no God, because…” Since atheists have not been able to come up with a convincing argument, they have just redefined atheism, so that it is no longer the belief that God does not exist. Instead, it is the lack of belief in God. In this way, everybody, even babies, turn out to be atheists. 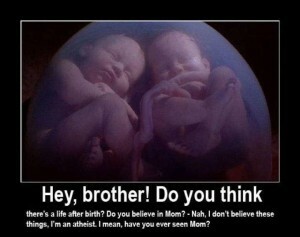 So, therefore, they will say that everybody is born an atheist. But out of the other side of their mouth, they will say that they are skeptical of people who claim to be former atheists. If I say, “I used to be an atheist, but came to faith,” atheists will immediately be skeptical of that claim. But… how can they be skeptical? 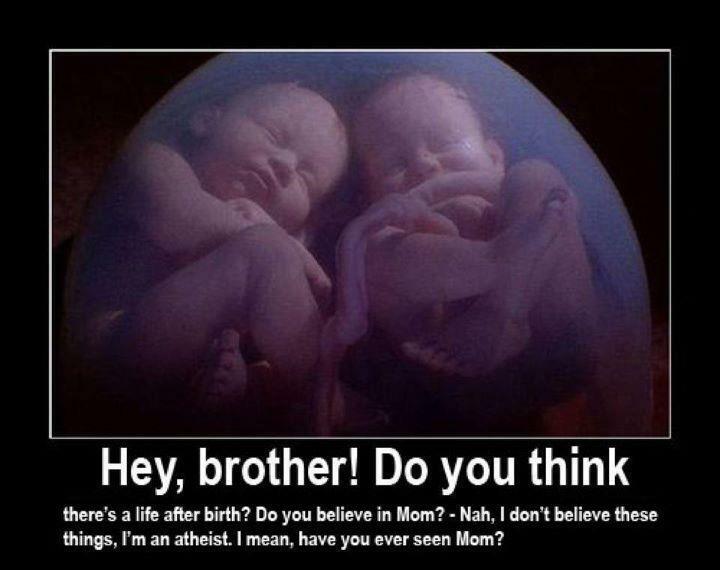 Everybody, on their view, is born an atheist. So to be skeptical of the claim that somebody used to be an atheist, is to admit that we are not born atheists. Despite that, on pain of irrationality, atheists do hold both of these claims. 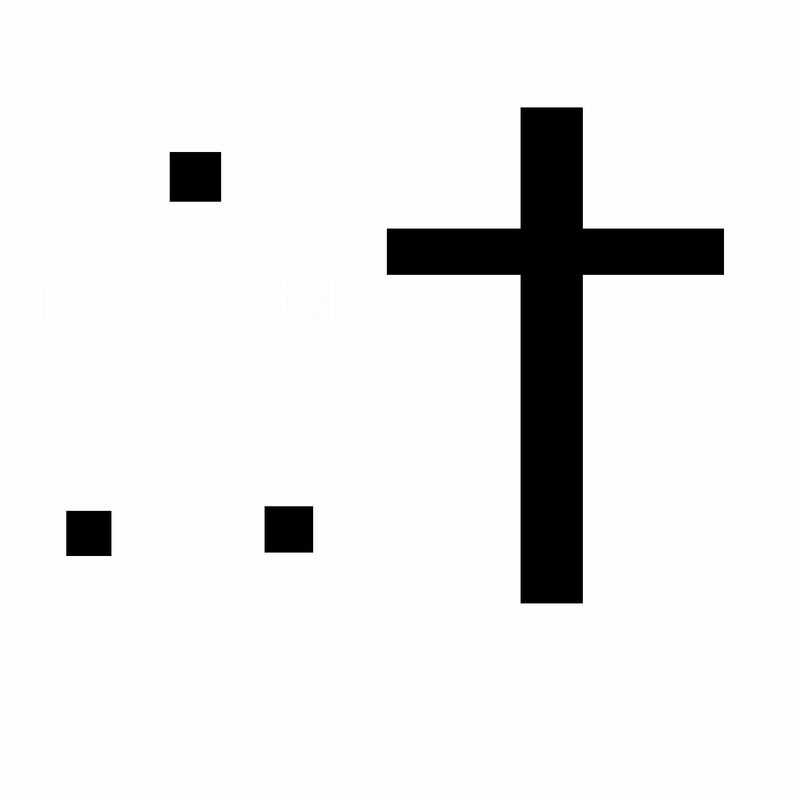 3 – Atheists say both: (a) What can be asserted without evidence can be dismissed without evidence. 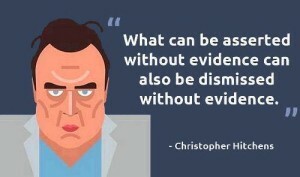 (b) I assert that without any evidence. They usually assert that claim without any evidence! 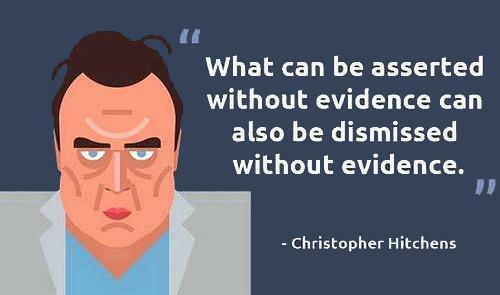 They usually say, “what can be asserted without evidence, can be dismissed without evidence,” but assert that without providing any evidence. Therefore, if we follow the standard that the claim used, we are forced to dismiss it. This is a self-defeating proposition, if asserted without any evidence. Despite that, atheists continue to assert this claim without any evidence. 4 – Atheists say both: (a) God is evil for allowing so much injustice in the world. (b) God is evil for not allowing injustice in the Old Testament. One of the most common arguments against the existence of God is the problem of evil and suffering. There are people in the world who seem to be suffering needlessly, and God does nothing to provide them any sort of solace, according to atheists. This is essentially the claim that if God is good, he would want to stop evil, and if he is powerful, he would be capable of stopping evil, but since there is evil, it follows that God is either not good, not powerful, or does not exist. Now I showed in my article 5 Reasons Evil Does Not Disprove God that this is just a spurious argument. But as I say, atheists complain that God does not stop evil. However, in the Old Testament, there are accounts of God stopping evil. God is constantly bringing justice upon the wicked generation, because he is a holy and righteous God and these are lives that he gave in the first place. God is essentially giving men what they deserve, stopping the evil in the world. Despite that, atheists say that God is being evil, for bringing justice. But in the problem of evil, they propose that God is being evil, because he neglects to bring justice! Atheists do not seem to be able to make up their minds. They are angry with God for bringing justice and not bringing justice. With these shifting complaints, it is almost as though their position is based not on rationality but on emotion. 5 – Atheists say both: (a) The universe did not need a cause. (b) God needed a cause. Atheists tend to make very grand claims about the existence of the universe. The universe could have created itself. The universe is self-existent. The universe has always existed. Either way, the universe did not need a cause. It exists, maybe it even had an absolute beginning. But under no circumstances did the universe require a cause, and especially, the universe did not require a Prime Mover. No, no, no. Under no circumstances will this be allowed. Despite that, they are so quick to say that God did need a cause. If God exists, he obviously needs a cause. 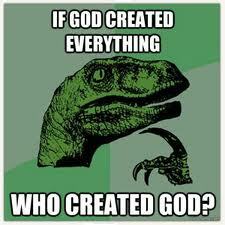 So many atheists will ask the question, thinking themselves intellectual elitists, ah, but then, who created God? They are so quick to say that God requires a cause – the very existence of God demands a cause beyond itself. But the existence of the universe does not? This is clearly a double-standard. Atheists, in this case, are guilty of Special Pleading. They are applying one standard of causality to God that is not being applied to the universe. Have you heard atheists unknowingly contradict themselves? Leave a comment!